With Jordan Peele's upcoming relaunch of the Twilight Zone right around the corner, it looks like another one of Rod Serling's anthological series is getting the same treatment. That's right. Night Gallery is also being rebooted. And this one is coming from SyFy. The original show ran on NBC from 1969-1973 and was also hosted by Serling himself. Unlike the Twilight Zone, this was less focused on science fiction and ran headlong into horror and supernatural elements but still maintained a bit of a sci-fi edge. The Twilight Zone relaunch will be coming to CBS All Access in 2019 and has already gained quite a cast. 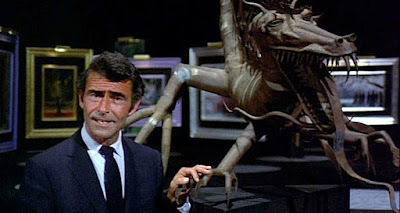 With that in the early stages, SyFy jumped on the bandwagon and picked up the rights to Night Gallery. We look forward to seeing what they do with this property.